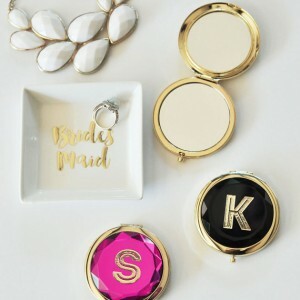 These monogram mirrors are a must-have! 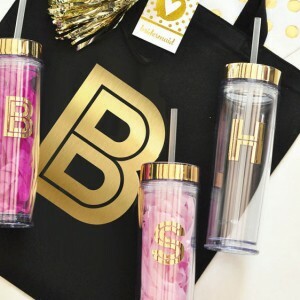 Choose between four colors: Clear, Champagne, Black or Magenta Pink. Signature gift box can be included for only an additional $2.00. Shipping costs $6.00 and will arrive in 3-5 days.